Low light, India submitted to the assignment ‘Low Light’ on National Geographic. Kristian Bertel has contributed to the National Geographic Your Shot photo community with an assignment called ‘Low Light‘. We are heading into fall, where the days are shorter, nights are longer so National Geographic is embracing the season and look into the night for this assignment. For this assignment curated by Stephen Alvarez from National Geographic like us to focus on shooting in low light. As Stephen is saying it: ”– It used to be that when the sun went down we used to have to stop shooting. Not any more! Modern digital cameras both DSLRs and smartphones have opened up new times to shoot. They see into the darkness much more like our eyes do. In some cases even better”, he says. One of Stephen’s favorite times to shoot is twilight, after the sun is gone but before it is completely dark. Cities in particular come alive in that mixed light. But he do not wants us to limit ourselves and he wants us to shoot anything we can think of. The night sky, stars, urban life let your imagination run wild through the night where Stephen Alvarez wants us to experiment and also try high ISO, long exposure and try shooting when we do not think we can. And where we will be surprised what the camera will do. We also have to feel free to use some flash in our photos, but where we are remembering when using flash that less is more. Nat Geo wants to see into the night. The basics of photography are a working understanding of how light is taken in by the camera. Three main functions coordinate together to get the correct exposure of light to the image sensor. Those functions are the lens aperture opening, shutter speed and the ISO. Modern cameras with automatic settings calculate the settings for the varied scene modes on the camera dial for you, but they do not always interpret the scene or the photographer’s intent correctly. Cameras that allow manual adjustment of aperture, shutter speed and ISO give much greater creative control back to the photographer, but the photographer needs to know how these settings work together. 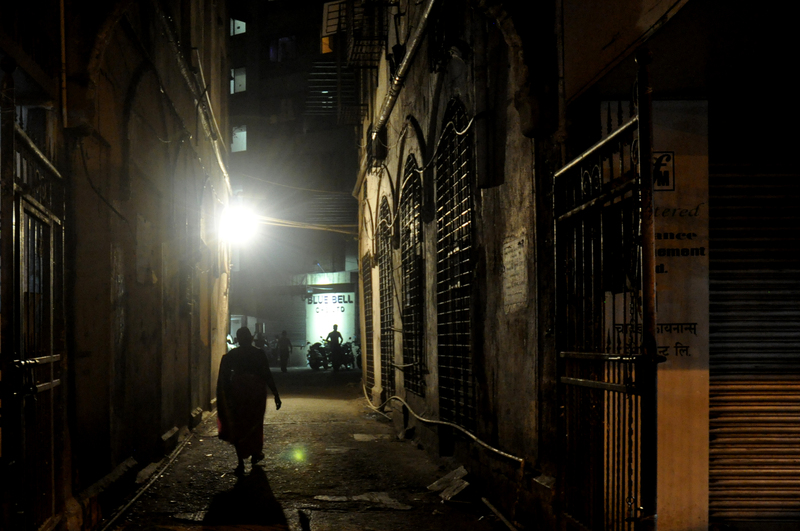 The photographer chose to participate with a photograph from Mumbai in India, where an Indian woman is making a silhouette while she is walking in an alley. The light in the background of the photograph illuminates the woman. ”– Low light photography is something that I as photographer must deal with when traveling in India. Whether I am taking photos with a camera during an evening out, shooting a portrait or capturing a landscape at dusk it is important to understand the basics of shooting with low light. Photography is all about light, low light photography is no different and it offers new challenges and opportunities for creativity. And I need to work out the longest shutter speed acceptable for the scene. Even tiny movements of the camera will blur objects such branches moving in a slight breeze. If the intent is to blur something such as water moving over a river in India, longer shutter speeds are not a problem, and can be used for artistic effect”, the photographer Kristian Bertel says.